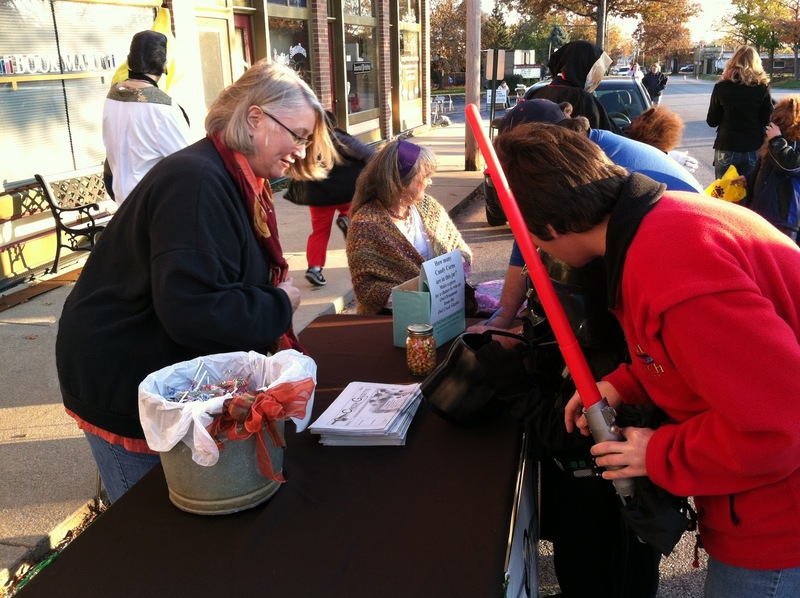 Jan Stover, co-editor and publisher of the Owl Creek Gazette, enjoys handing out candy to the kids and the October issue of the Owl Creek Gazette to parents. 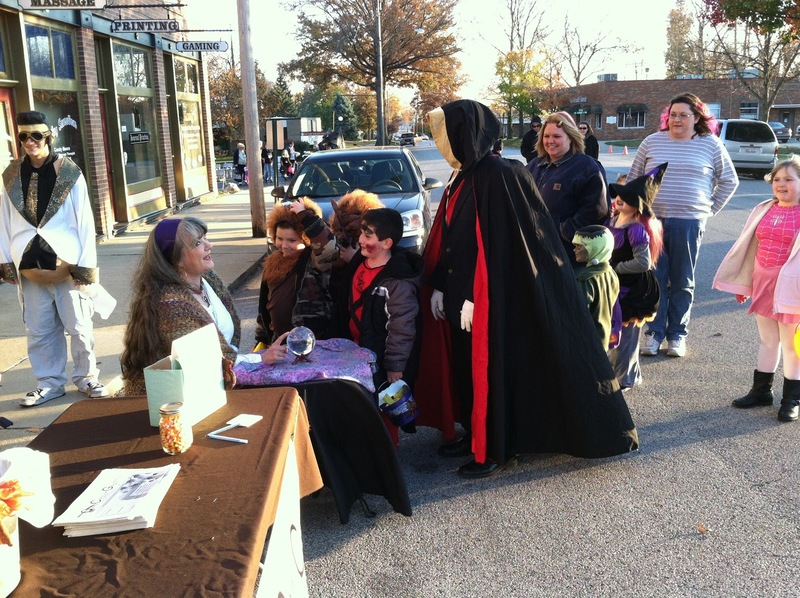 Roxanne Bare, our resident "Gypsy" for Trunk or Treat, brought along her crystal ball and entertained the crowd. 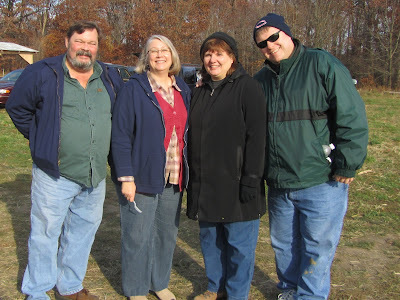 Don and Jan Stover at The Clark Farm's In Plain Air" Fair with good friends Crystal and Jay Jurczynski who made the trip down from DuPage County, Illinois to enjoy some country hospitality. Crystal often writes for the Owl Creek Gazette. 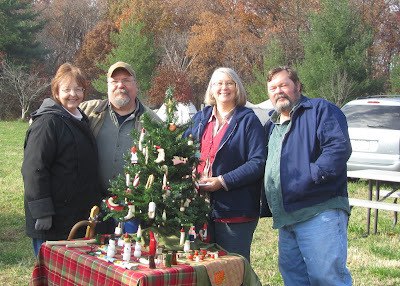 The Gramlicks from Sandoval, Illinois, vendors at the In Plain Air Fair, pose with the Stovers for an impromptu snapshot as they showcase their handcarved Christmas ornaments.